You may ask yourself, why can’t I simply buy flush valve polish, or faucet polish to make my flushometer or faucet shiny again? Simply put, chrome plated metals cannot be polished because chrome is an inert or chemically inactive metal. 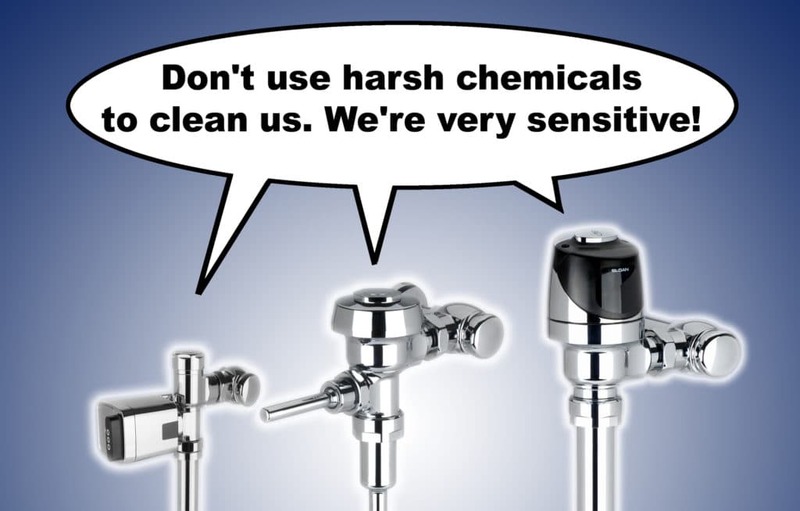 As a matter of fact, using chemicals or rough cleaning techniques on chrome plated fixtures can potentially cause more harm than help. Here’s why: the majority of chrome plated faucets and flush valves have a very thin coating of chrome over their brass body. 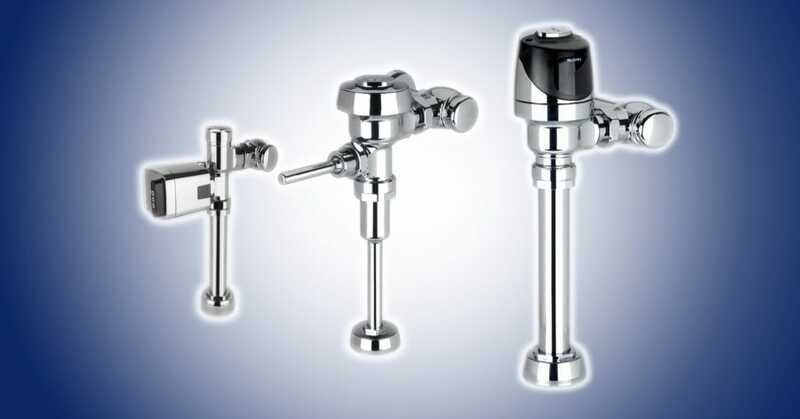 When maintenance personnel uses harsh chemicals on flush valves and flushometers in an attempt to clean them well, they can actually damage the chrome plating, causing it to become pitted. Likewise, when custodians or maintenance technicians scrub chrome plated fixtures too roughly, they can also damage the finish, in some cases even remove the finish entirely. Read on below to find out how we recommend cleaning the chrome plated fixtures in your facility. At Equiparts, we recommend that our customers clean their chrome plated flush valves and faucets with good ole soap and water. Since chrome is a soft, inert metal that does not rust, it does not need any type of polish to make it shine like new. Instead, it just needs the grime, dust, and dirt removed to get it back to its prime. DO NOT USE abrasive or chemical cleaners (including chlorine bleach) to clean flushometers that may dull the luster and attack the chrome or special decorative finish. Use ONLY mild soap and water, then wipe dry with a clean towel or cloth. While cleaning the bathroom tile, protect the flushometer from any splattering of cleaner. Acids and cleaning fluids will discolor or remove chrome plating. We recommend wiping down the surface of the fixture with warm, soapy water, then using a microfiber cloth or towel to dry the surface. Next time you are wondering what you should use to clean your flushometer, or how to make your faucets shiny and like new, remember to keep it simple, and just use soap and water so you don’t cause any permanent damage to your chrome plated flush valves and faucets. At Equiparts, we carry all of the maintenance and plumbing repair parts, fixtures, and tools you need to outfit and maintain your facility. We carry products from all of the top plumbing and hardware companies and also carry hard to find parts as well. Our staff consists of experts, not order takers. Browse through our website or give us a call 7:30AM-5PM M-F EST toll-free at 800-442-6622.